The full title of the music album in question is actually Saiyuki Reload & Saiyuki Reload Gunlock TV Sound Collection. However, it was too long to fit into the title above so a shortened version was placed there instead and the full version posted here. If you're looking for information on the aforementioned music album, then you've come to the right place. In this hub, you'll find such things as the track list from the TV Sound Collection and even some samples. Ignore the incorrect and incomplete Amazon title of this music album. 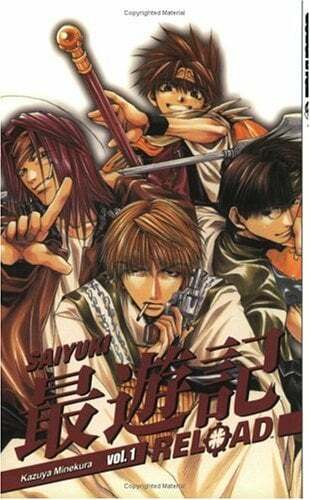 The CD cover features the Sanzo-ikkou, the 4 main characters of the Saiyuki anime and manga (graphic novel) series by Kazuya Minekura. The Saiyuki series was created by mangaka (author / artist) Kazuya Minekura. It consists of anime, manga and even games, among other things. Since this hub is about one of the music albums from Saiyuki, expect to see a lot of references to the series in question. If you want more information on the anime series of Saiyuki, then you might be interested in checking out the aforementioned hub where you'll find details on each of the Saiyuki anime including the movie, OVA as well as an introduction to the 4 main characters (the Sanzo-ikkou). The particular anime that this hub will mostly focus on are Saiyuki Reload and Saiyuki Reload Gunlock since the music album is about these two. 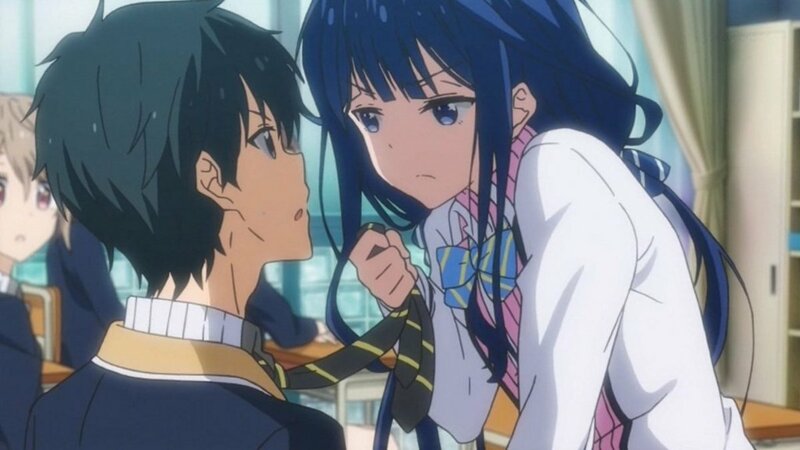 You can also find out about these 2 anime from the above hub. The Saiyuki anime is based on the manga so you might also be interested in seeing an overview of all the Saiyuki manga in the series. The music album in question has 52 tracks. Note the numbers beside the Voice Collection Bonus Tracks. This means that track numbers 15-21 contain the voice of Genjo Sanzo saying some of his lines. Tracks 22-31 contain Son Goku's voice saying some lines, tracks 32-39 are all lines by Sha Gojyo, tracks 40-42 are lines by Kougaiji and tracks 43-52 are all lines by Cho Hakkai. All in all, that would total the number of tracks in this album as 52. I decided to list it like that, otherwise, the track list would have been too long whilst seemingly containing the same thing over and over again. This particular music album is more than just a collection of songs from the Saiyuki series. As you can see from the track list, this album only has a handful of songs and they're all TV size versions. Much more than songs, this album is really a TV Sound Collection in that it contains a number of instrumental music that appears in Saiyuki Reload and Saiyuki Reload Gunlock. You can also find various voice tracks that feature lines said by some of the series' characters and which you can hear by watching the anime. As noted in the track list shown above, the version of Wild Rock that appears in this music album is actually only the TV size version. This version is shorter as it actually appears as the opening theme song of the anime Saiyuki Reload. Wild Rock was sung by Buzzlip. The full version of this song appears in the music album entitled Saiyuki Reload Opening Theme Song Wild Rock Single by Buzzlip. That particular album single contains other songs that have all been sung by Buzzlip. If you like the song Wild Rock, then you might like the other songs by Buzzlip. The aforementioned hub has more information on these songs, including the song Wild Rock itself. There are also some sample videos there. Listen to the TV size version of Wild Rock via the YouTube video to the right. The images you'll see in this video are the same ones you'll see upon watching the opening credits of an episode of Saiyuki Reload. The second YouTube video is the full size version of Wild Rock. The TV size version of this song appears as the first ending theme of the anime Saiyuki Reload. ID was sung by flow-war. The full version appears in Saiyuki Reload Ending Theme Song ID Single by flow-war. This album single also contains other songs by flow-war so if you like ID, then chances are that you might also like the other songs by this artist. From the above hub, you can also find more information on the songs by flow-war that appear in their ID music album single as well as some song samples. You can listen to the full version of ID via the YouTube video featured to the right. The aforementioned tracks are as follows: Sanzo no Theme / Sanzo's Theme for number 3, Goku no Theme / Goku's Theme for number 4, Gojyo no Theme / Gojyo's Theme for number 5 and Hakkai no Theme / Hakkai's Theme for number 6. The reason that these four tracks are being listed as a group is because these aren't actually songs. Rather, these four are merely instrumentals depicting the theme for each of the Sanzo-ikkou. Check out track number 3 Sanzo no Theme / Sanzo's Theme, which is featured in the YouTube video to the right. This instrumental sounds simply marvelous. It's serious and yet not overly so. There is also something poignant in the music. Envision the Sanzo-ikkou riding off towards the west on their trusty green Jeep as you listen to this wondrous instrumental. This particular instrumental appears in Saiyuki Reload. One special mention is when it appears as the background music in the last episode wherein, aside from hearing this music, you can also hear the Sanzo-ikkou talking with each other. Track number 6 Hakkai no Theme / Hakkai's Theme is also featured to the right. This instrumental sounds light and gentle with a sort-of airy and whimsical feel to it. It even sounds somewhat like a lullaby. This instrumental appears in one of the episodes of Saiyuki Reload, specifically the one wherein Hakuryuu, Hakkai's white dragon who can transform into a green Jeep (and is the ikkou's mode of transportation) goes missing and encounters some children. The TV size version of this song, that was sung by WAG, is the second ending theme of the Saiyuki Reload anime. You can find the full version of this song from the music album called Saiyuki Reload Ending Theme Song Fukisusabu Kaze No Naka De Single by WAG. This single also contains other songs by WAG, though these particular songs don't appear in the Saiyuki series. Find more information about Fukisusabu Kaze No Naka De and the rest of WAG's Single of the same title by checking out the above hub. Learn more about the songs as well as get the chance to listen to some of the music. The full version of Fukisusabu Kaze No Naka De is featured to the right. The YouTube video contains a mixture of images from the opening and ending themes of Saiyuki Reload and Saiyuki Reload Gunlock. There are even some images from Gensomaden Saiyuki (the prequel to Saiyuki Reload). The second YouTube video features the TV size version of Fukisusabu Kaze No Naka De. The video includes English, Romaji and Kanji lyrics as well as images from the Saiyuki Reload anime. Which of the following Saiyuki characters' voices do you like the most? These tracks are being listed in this manner since all four of them are, once again, instrumentals. Number 8 is Kougaiji no Theme / Kougaiji's Theme. Kougaiji is a full-blooded demon who is the son of the demon king Gyumaoh (or Gyumao). He's one of the enemies of the Sanzo-ikkou though he has his own reasons for all his actions. Sentou / Battle is track number 9, Arano no Arashi / Desert Storm is number 10 and Taiga - Yuuhi / Big River - Evening Sun is number 11. These instrumentals sometimes play in some parts of the anime Saiyuki Reload and Saiyuki Reload Gunlock. 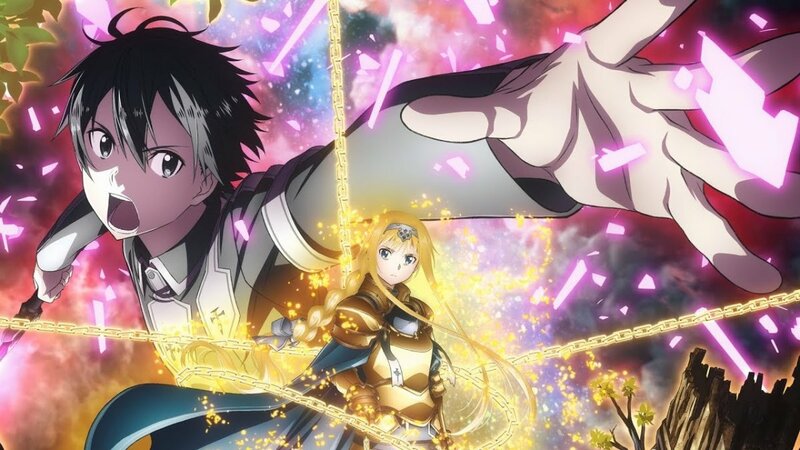 By watching the anime, you can listen to these background music along with accompanying images and you even get the chance to hear some of the voices of the characters. This song was sung by WAG and its TV size version appears as the opening theme of the anime Saiyuki Reload Gunlock. The full version of this song can be found on the music album Saiyuki Reload Gunlock Opening Theme Song Don't Look Back Again Single by WAG. This single also showcases other songs by WAG, which you might like if you find yourself liking Don't Look Back Again. The above hub features much information on all the songs that appear in WAG's album single including some video samples from YouTube. Featured to the right, you can see a YouTube video of the TV size version of Don't Look Back Again. The images in that video are the same images you'd see if you were watching the opening credits of a Saiyuki Reload Gunlock episode. The TV size version of this song sung by flow-war appears as the first ending theme of the anime Saiyuki Reload Gunlock. The music album called Saiyuki Reload Gunlock Ending Theme Song Mitsumeteitai Single by flow-war is where you can find the full version of the song Mitsumeteitai. The said single also features other songs that have been sung by flow-war though these particular songs don't appear in the Saiyuki series. However, if you like the sound of Mitsumeteitai, then it's certainly worth it to check out the aforementioned single by flow-war because you might also like the rest of their songs. You can get more information about the track list of the album from that hub including being able to listen to some sample songs. The YouTube video you can see to the right features the TV size version of Mitsumeteitai. Images from this video are the same ones you'll see when you watch the first ending credits of an episode of Saiyuki Reload Gunlock. The cover features Sha Gojyo who is a half-breed (meaning he's half-human and half-demon). His voice, including his singing, sounds amazing. But the same can definitely be said for the rest of the Sanzo-ikkou. The aforementioned tracks are the Voice Collection Bonus Tracks. As can be seen from the track list above, number 14 is the Introduction to the Voice Collection Bonus Track. Numbers 15-21 are the Voice Collection Bonus Tracks for the character Genjo Sanzo whose seiyuu (voice actor) is Seki Toshihiko. Numbers 22-31 feature the Voice Collection Bonus Tracks for Son Goku whose seiyuu is Hoshi Soichiro, numbers 32-39 showcase the Voice Collection Bonus Tracks for Sha Gojyo as spoken by his seiyuu Hirata Hiroaki, numbers 40-42 are the Voice Collection Bonus Tracks of Kougaiji whose seiyuu is Takeshi Kusao while numbers 43-52 are the Voice Collection Bonus Tracks of Cho Hakkai whose seiyuu is Ishida Akira. The Voice Collection Bonus Tracks aren't music or instrumentals. They're actually recorded voices (in Japanese, of course) of some of the characters from the Saiyuki series. These characters are the Sanzo-ikkou and Kougaiji. Of course, it is the seiyuus of these characters who are the ones speaking. The lines that the seiyuus are saying are actually those that are commonly-said and are well-known lines by their respective characters. It would be easy to recognize their voices and identify which character is saying what line since their voices are all distinct from each other. The voices are also very familiar as are the lines. You can hear these lines just by watching the anime. 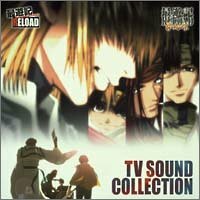 Consider acquiring the music album Saiyuki Reload & Saiyuki Reload Gunlock TV Sound Collection especially if you are a fan of the series because you'll surely love it. 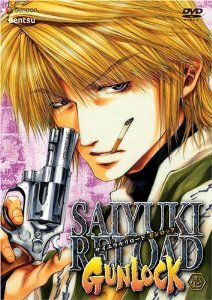 What do you think of Saiyuki Reload & Saiyuki Reload Gunlock TV Sound Collection? After all, it features songs and instrumentals from your beloved anime series. 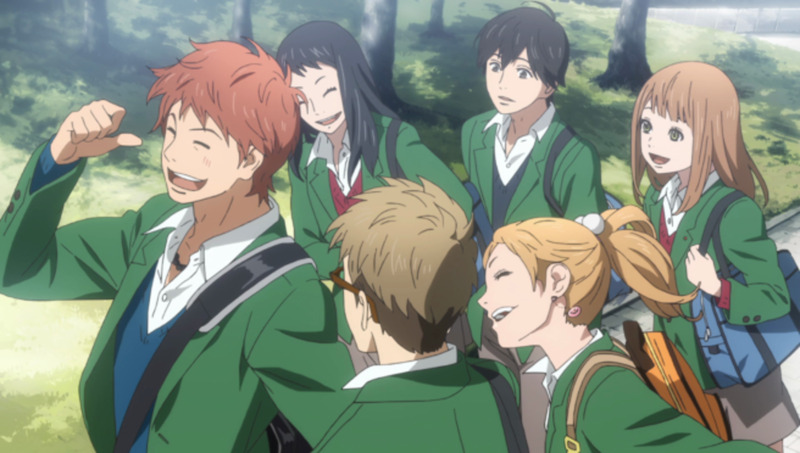 You'll be reminded of watching said anime and hearing the opening and ending themes as well as the background music. You'll even get to hear the superb and magnificent voices of some of the characters. On the other hand, if you're not a fan of the Saiyuki series, you might still be interested in checking this music album out. Listen to the song samples and see if you like them.